When the Heart is awake we know Love, when the Mind is aware we learn Truth, when the Soul is alive we experience the Divine. Last year’s service trip was really special because we had an “all family” group. Our daughter Kristianna and her friend Steve, our son Bennet and his friend Ruby, and our son Adam and his wife Heidi. 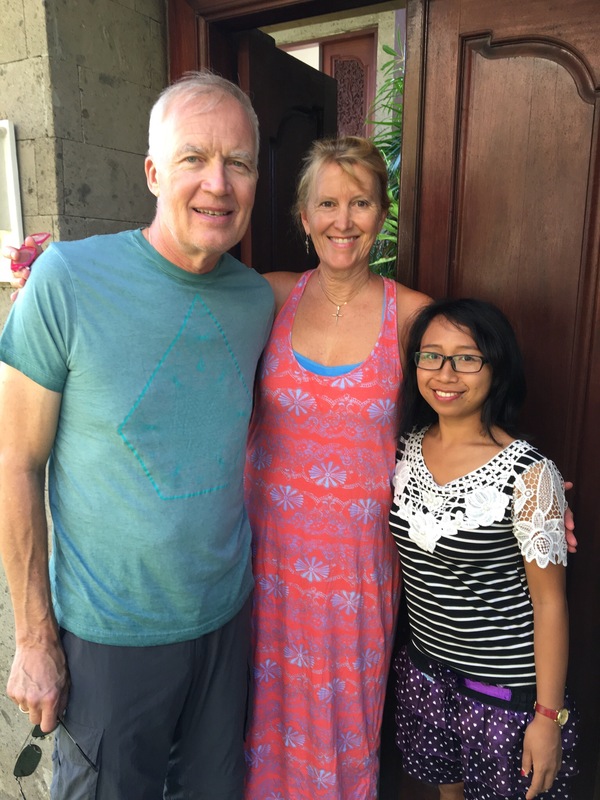 Adam and Heidi had never joined us before so they finally got to experience firsthand the beauty of Bali and its people. This year’s group is special as well. We’re thrilled to have our ace teacher trainer Sharon back with us after a few year’s absence. 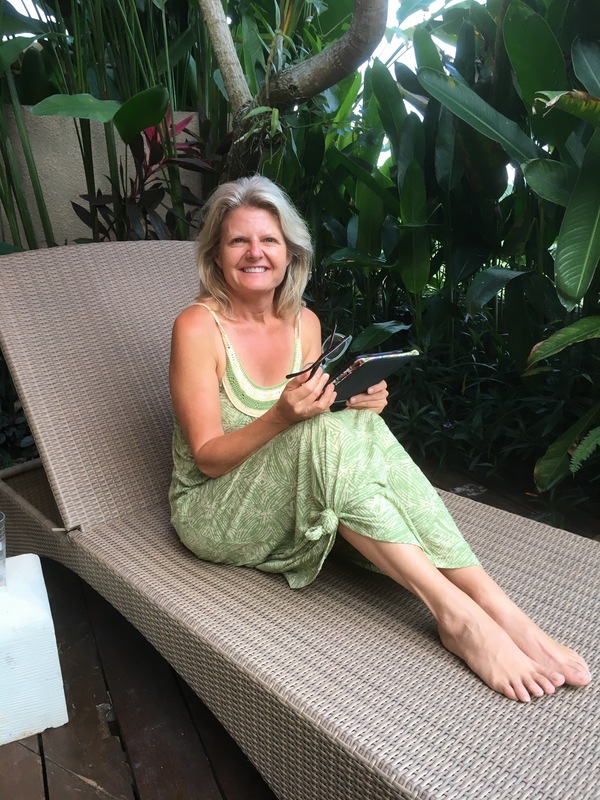 Sharon is a full-time kindergarten teacher so she really connects with the teachers in Bali. 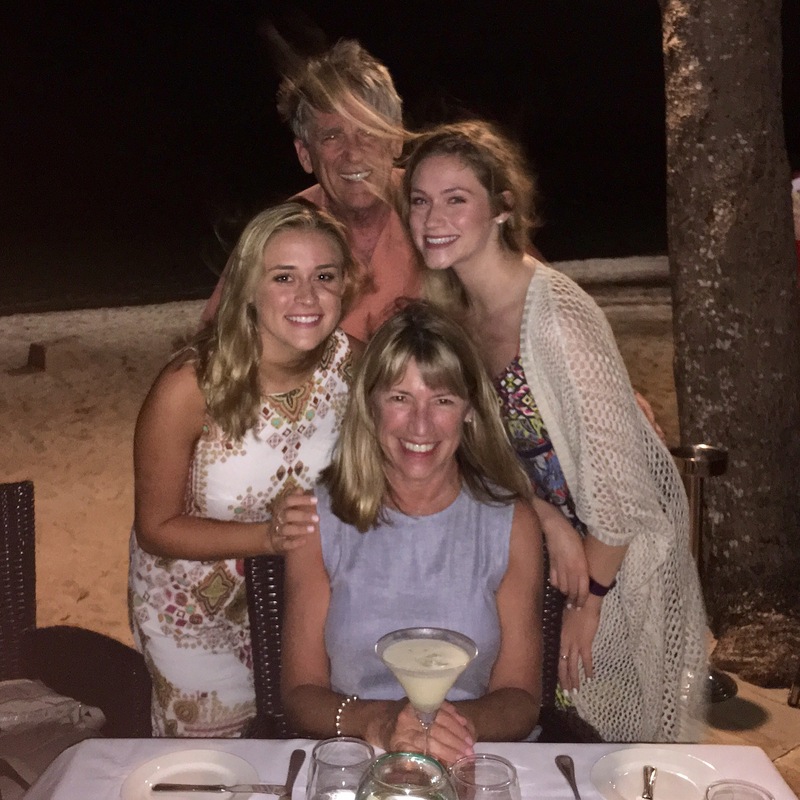 Also joining us are our close friends Patricia and Paul and their daughters Bridget and Megan. The young women are interested in nursing careers so we’ve connected them with a clinic in Ubud where they will volunteer their time while we’re there. The final American member of this year’s group is Mike’s sister Katy. Katy recently moved back to SoCal after living in NYC for ten years and we demanded that she take some extra time and join our merry band in Bali. She readily agreed! Of course our trip would not be possible without our local Balinese support team. 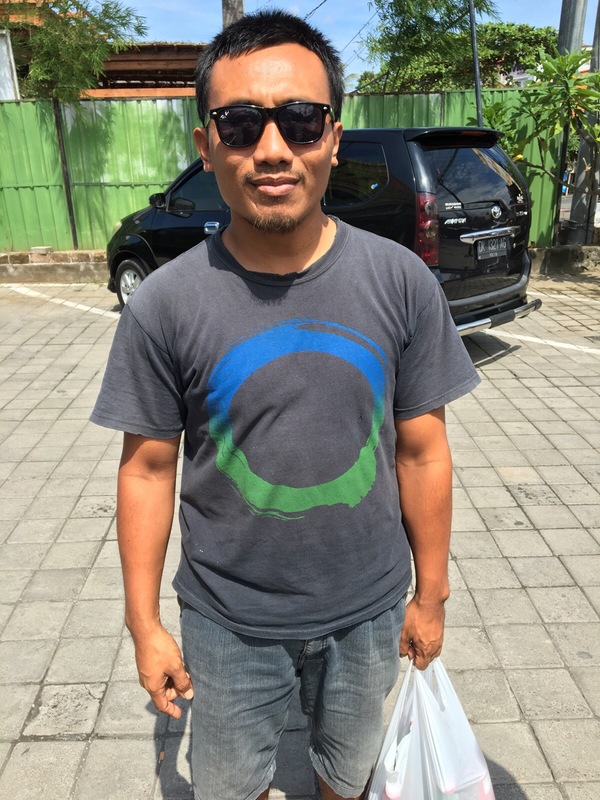 Wayan is our driver, fixer, confidant and enthusiastic go-to guy. We met Wayan on our first trip eight years ago and we’ve been blessed by his companionship ever since. Kathryn was honored to attend his wedding last December (only westerner in attendance!). Rounding out our team is Iluh, our site coordinator in the Munduk region. Iluh is really the secret weapon of The Heart, Mind & Soul Project. She screens each student for need and delivers the funding for their uniforms, school supplies and all fees for their education. That’s a big job for 63 students in addition to working full-time for the tourism ministry and raising her two young children. No wonder we call her our Wonder Woman! Tomorrow we drive to Munduk for the sponsored student party. We expect about 150 people so stay tuned for the report on all the festivities.